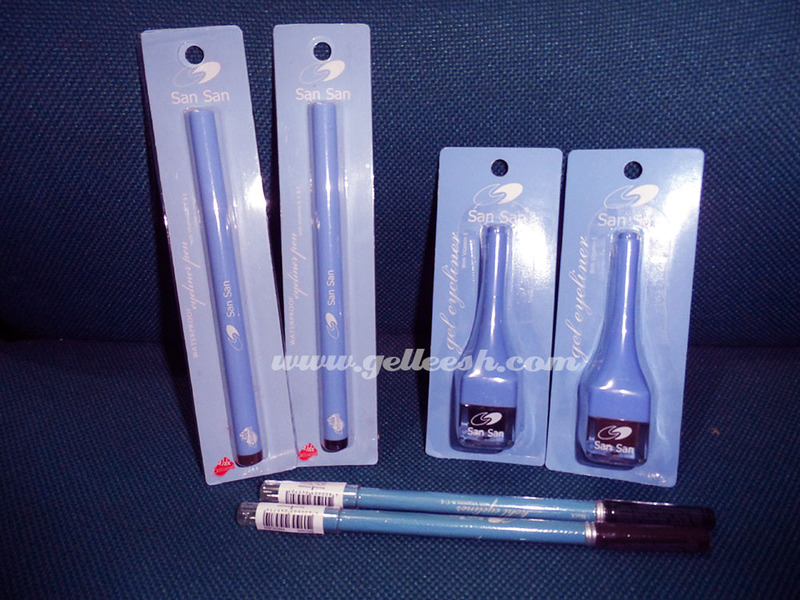 Gelleesh: Guess What the Beauty Fairy Gave Me This Time! Guess What the Beauty Fairy Gave Me This Time! I wanna say happy Monday because I’m writing this on a Monday but if ever I post this up by Tuesday that would be pretty awkward, right? So, I guess I’m just gonna say, hello there! My week started pretty well and with tons of stuff to do at work. I am not complaining, I am actually glad that my Monday started off quite productive and I’ve finished a lot of stuff at work. In between writing articles, I would often check my personal mail just to give me some space off of what I’ve been writing at work. So, there I was, logging in to my email then I saw a reply from HBC telling me that I have a bloggers kit waiting for me at the Karuhatan Branch. “Awww!” Okay, now my day is officially productive and awesome! So, after work, I dropped by at the HBC Karuhatan and after some verification, was handed with the bloggers kit. It was a Valentine’s gift from HBC. So sweet! I took a little peek inside and saw some SanSan products. I smiled at the HBC staff, thanked and then bid them goodbye. I am just so excited to REALLY check out my loot that the moment I got home, I didn’t bother changing my clothes soon but rather I prefer opening up my Bloggers Kit first. “Beautiful day Gellie from HBC! We hope you’re enjoying the month of hearts as much as we do. Knowing that our eyes are considered the windows to our soul, our beauty fairy has sent you our EYELINER COLLECTION. Your reviews have been an eye opener and we believe your blog has inspired many Filipinas to appreciate real beauty (which comes from the heart <3)! 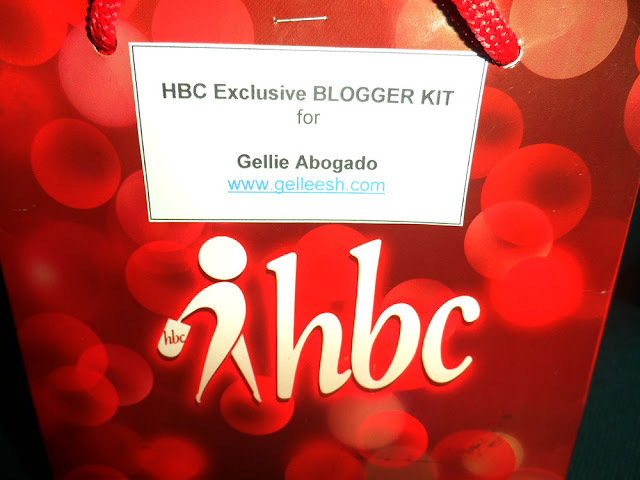 Thanks to Lorie and the whole HBC family for trusting and supporting my blog. 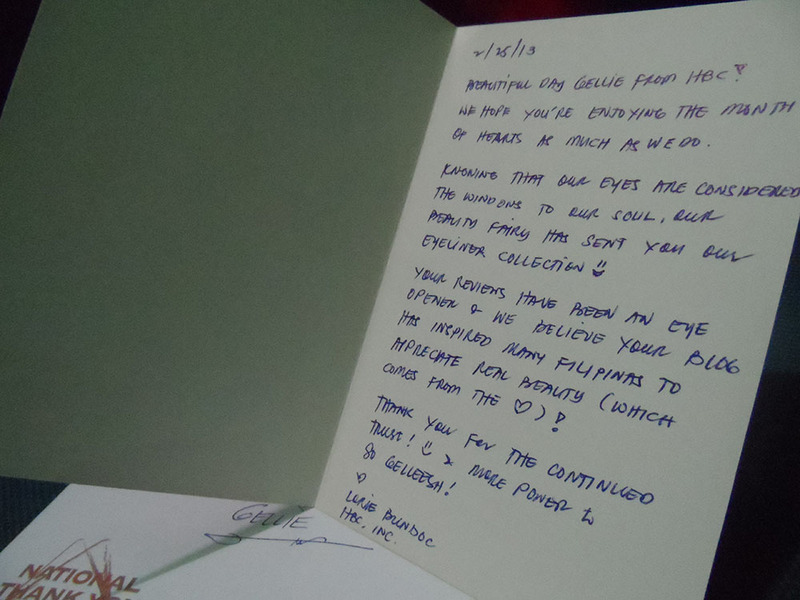 I almost got teary-eyed when they mentioned that I have inspired many Filipinas to appreciate real beauty. I remember during our accountability group devotion last week, we had this activity wherein you’d trace your hand and we were asked to write some stuff in each fingers. In one of the fingers, we were asked to write about what brings us joy and I answered: It’s when I see that I’ve made someone happy, touched lives and inspired people. Blogging truly has given me that power to, somehow, connect to some of you and I’m hoping that through my posts, I have encouraged some of you to be confident, bring out the best in you, never give up and just stay true to who you are. If you’ve been a So Gelleesh reader from the very beginning, you know how I have struggled as a plus size beauty blogger, how I’ve lost weight, how some people have mocked my fashion sense but still I am here, blogging for almost two years now and still going strong. Thank you to my readers, the brands whom I have worked with and of course, HBC! Oh, by the way, you might be wondering what the EYELINER COLLECTION is, right? Well, I got the SanSan Gel Eyeliner in brown and black, SanSan Waterproof Eyeliner Pen in brown and black, and SanSan Kohl Eyeliner in brown and black as well. Can’t wait to use them in an FOTD post and give my review as well. Have you tried any of ‘em? Hello Gel, I have missed reading your blogs. I am busy with work too, haha multitasking to keep our blogs updated :D Thanks for dropping to mine. ohhh wow that's awesome so lucky! what a score :)! ohh wow so lucky to have all that goodies to play with! !